As Wales basks in rugby fever, players from local teams across the country are calling on the rugby community to join them in kicking blood cancer into touch after they donated life-saving bone marrow to recipients from across the world. Ioan Evans, Robert Jones and Craig Simms all rugby players, were selected from the Welsh Bone Marrow Donor Registry as the only suitable matches in the world, capable of saving their patients, despite living thousands of miles apart. For many patients, donations like these are the only chance of survival, yet only 60 per cent of people will find a possible lifesaving match. They are now urging others to follow in their footsteps as part of the Welsh Blood Service’s #ChilledOutLifesaver campaign, which aims to encourage 17-30 year olds to ask about joining the Welsh Bone Marrow Donor Registry the next time they come to give blood. Robert Jones, 27, wanted to do anything he could to help families like his after his grandfather passed away from Leukaemia, so Robert made the decision to join the bone marrow register. Robert said: “My partner and I have both had family members who have suffered from blood cancer, so we’ve seen first-hand what a difference it can make. “I had a great support network my friends and family keep saying how proud they are of me for joining the register and eventually donating my bone marrow; my grandmother actually gets quite emotional because it was in memory of my grandfather. “I had two weeks off after the operation to recover fully and then I was back to work and playing rugby. I feel so lucky that I was selected from a panel of donors across the world and that I had the opportunity to help someone in need. Ioan, 27, who is originally from Cwmtwrch in the Swansea Valleys, said: “Joining is really easy to do, and I’m so glad that I did. I’ve changed someone’s life because of it. Just find a blood donation clinic near you and let them know you want to join the bone marrow register. I’ve been on it since I could first join at 17 years old, years later I was finally matched with this little boy. “There’s a misconception that giving bone marrow is really painful and that there are huge needles involved but it was pretty straight forward. After the operation, I actually woke up and asked if they’d done it yet because I couldn’t feel any pain. “Everyone has been really supportive throughout the process, my partner, my work, and my teammates. I play for Clwb Rygbi Cymry Caerdydd, a Welsh language rugby club in Cardiff, and I help to manage Ospreys Women’s rugby. After the donation I took a little time off from playing but still went to the matches to support the teams! 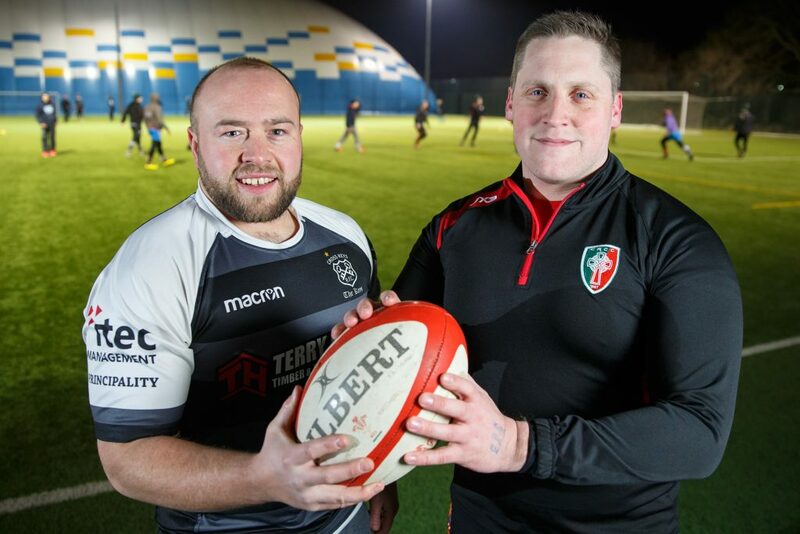 PE teacher Craig Simms, 26 was inspired to sign up to the register after his fellow teammate at Tonyrefail RFC received a lifesaving bone marrow donation and after a full recovery is still playing rugby with him today. “A lot of my friends and family work in the NHS so they were particularly proud of me as they see people in need every day. I saw how quickly my teammate recovered after receiving a bone marrow transplant and it inspired me to donate. There are still 20,000 people waiting to be matched, and Emma Cook, Head of the Welsh Bone Marrow Donor Registry is encouraging more people to consider joining the next time they give blood: “The Welsh rugby playing community has been hugely supportive of the registry and a large number of our recent donors have been involved with the game, either playing or coaching. We’re so lucky to have such a community-spirited bunch of sportspeople supporting our cause. “Only 30 per cent in need of a donation can find a suitable match within their own family which is why we’re so thankful for people like Ioan, Robert and Craig who’ve selflessly given to someone in need. “The chances of finding a lifesaving match are low, which is why it is so important to ensure as many people as possible living in Wales sign up to become chilled out lifesavers with the Welsh Bone Marrow Donor Registry. To join the bone marrow register, simply book an appointment to give blood by visiting welsh-blood.org.uk or calling the Welsh Blood Service on 0800 25 22 66.